Overview: eToro is a social-trading platform based in Cyprus and regulated by CySec, FCA, ASIC and MiFID. It has won several awards and has a strong global presence with over 6 million traders. Social trading allows traders to share information, discuss strategies and trade in their own accounts. Accounts: eToro offers a single trading account with a minimum deposit of $100 or up to 40% of the trader’s realized equity. Traders depositing $20,000 and up become Premium members with a personal account manager, quicker withdrawals, and other benefits. Features: Traders on eToro use CopyTrader, the broker’s award-winning platform for social trading, which runs on most devices. Clients can follow expert traders, learn from them and copy their strategies with the use of the innovative system. The brokers are fully transparent about their operations. Swap rates are published on the website, and no commissions are charged. Spreads are floating, but typically at three pips for the EUR/USD pair during peak market hours. With experience traders who become Popular Investors can trade without any spreads. Other features include the Personal Investment Program. Traders also benefit from Watchlists, Personal Portfolios, news feed, stats, trading history, risk levels and other metrics. Education: Webinars, online courses and trading tools are available to traders for learning. Deposits/Withdrawals: Deposits can be made through various methods, and withdrawals are made through forms. Customer service: 24/5 email or phone support. Phone support is toll-free in Cyprus, UK and New Zealand. Yes, eToro is regulated under 2 regulatory bodies the FCA and CySec. Does eToro accept US Clients ? Etoro does not accept US clients. Strict regulation does not make this possible. In the near future eToro will be accepting US clients on their new Crypto trading platform. Does eToro accept Paypal ? Yes they do, but only for a select number of countries. The most preferred method of payment is wire transfer, which is accepted by ALL countries. Is Etoro Banned in Canada ? eToro does not accept Canadian residence to open a trading account with them. So in a way, yes Canadians are “banned” meaning they simply are not allow to open an account with eToro. Can you make money on eToro ? The answer is YES. At the same time you can lose money on eToro. Firstly you need to understand what you are doing and make sure you are not risking to much capital. For eToro’s copy trade system, its crucial you choose a well know, experienced and consistently profitable trader that doesn’t put to much money at risk. User reviews: Check out more eToro Reviews below. What is the minimum deposit or initial amount to fund the account if I’m from Philippines? What payment method? Can I use Western Union or can I do bank to bank transfer? The minimum deposit would be $200. And the only deposit method allowed for your country is bank wire transfers. 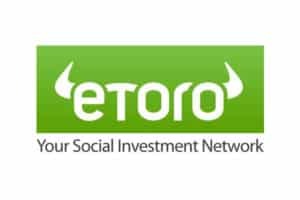 eToro- Due to the overwhelming surge in popularity, we are experiencing a huge flow of new clients that would like to register to eToro. In order to maintain our services and quality performance to our existing clients, we are now raising the minimum deposit to $1,000. We apologize for any inconvenience and the short notice. Thank you for your support!